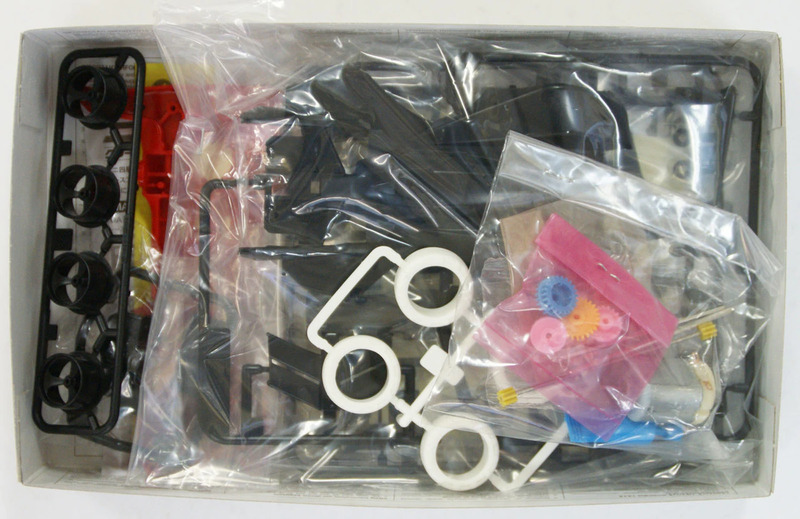 Box Stock vehicles are built using only the parts contained in their original kit. 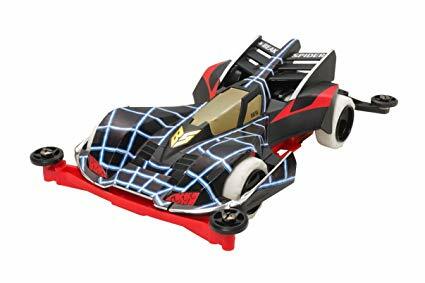 These vehicles typically handle well on the track, zipping around with adequate speed. They provide plenty of thrills for a new and/or young hobbyist. Super Stock refers to those cars that are taken to the next level. 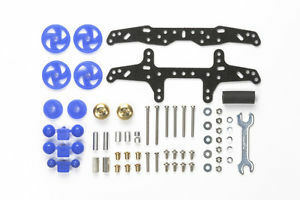 For those that want to hop up to the Super Stock class, there are a wide assortment of Tamiya upgrade parts that can improve the car's performance (i.e., increasing its power and/or minimizing its friction). Selecting and installing the correct upgrade parts is a real exercise in understanding how the cars work and how physics plays a role. 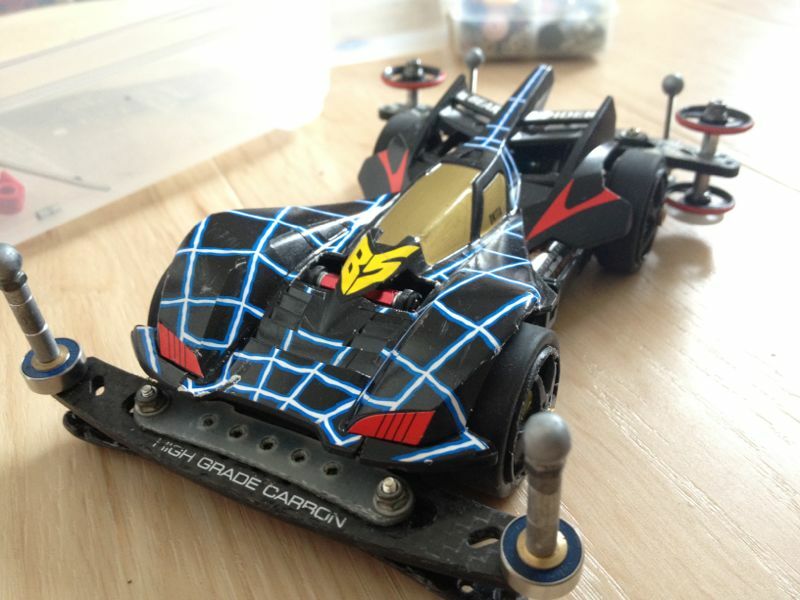 Hobbyists need to figure out what will enhance the vehicle speed, while still maintaining its stability! Track and vehicle examination, along with a little trial and error, can provide hours of entertainment for those moving up to the Super Stock Level. Modified refers to vehicles that have been upgraded to the extreme! 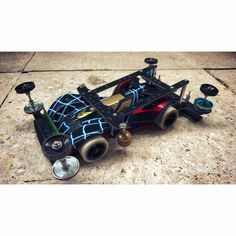 Modified cars still use Tamiya parts to maximize their performance, but the Tamiya parts may be used in unconventional ways or 'modified' to maximize their performance. For example, hobbyists may shave down parts to lighten them or double things up to strengthen them.